For a successful cloud business, automation and security are the two main features to look for. Providers wish to invest in areas where there is a faster time to market and SaaS solutions that favor the enterprises. It is quite the norm that businesses harness the power of collaboration. 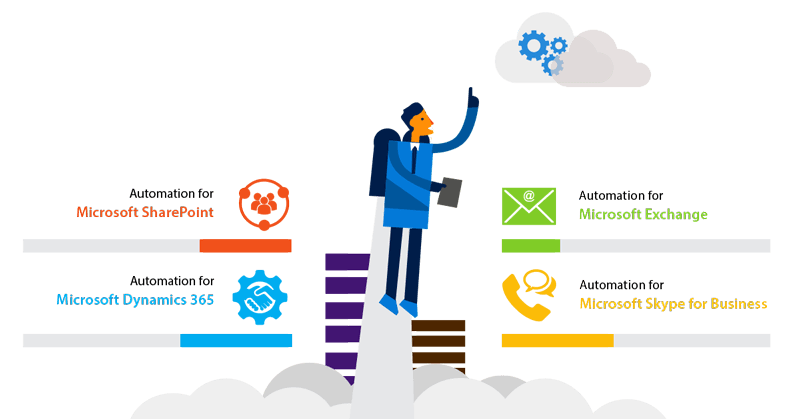 Microsoft has put in efforts to facilitate providers and Hosters in this domain with its solutions like Microsoft Exchange, Microsoft Skype for Business, Microsoft SharePoint, Dynamics CRM, Microsoft Hyper-V etc. Dynamics CRM offers a rich set of capabilities that allow companies to implement robust solutions to cover complicated business requirements. Dynamics 365/CRM streamline processes and increase profitability specially in your sales and marketing divisions. It’s an enterprise business solution that helps organizations to take care of their customers management life cycle. Multi-tenancy refers to a pattern in software architecture where a single instance of the software runs on a server(s), serving multiple client-organizations/tenants. In January 2011, Microsoft released newer version of Dynamics CRM which was shipped with a lot more enhancement not only in GUI but also in functionality, configurations and integrations with other apps and specially Microsoft Office. Alongside major improvements, Microsoft rolled out for support for cloud based hosted CRM and on-premises CRM deployment which targeted winning the battle in Hosted CRM marketplace. Irvine, California – March 05, 2011 – MachSol Inc. (www.machsol.com), well established provider of MachPanel, the automation business solution for building, supplying and managing private, public and hybrid clouds, appreciates its customers for making us the premium Hosting Control Panel provider. In our continuous endeavor for giving our clients the best, we are glad to announce support for the latest corporate products range from Microsoft i.e Microsoft Dynamic CRM 2011. Microsoft Dynamics CRM 2011 allows you having complete insights of your sales along with sales automation including customer services and marketing solutions in a single platform which is essentially important for every organization. MachSol has not only visualized the great dynamics of Microsoft CRM 2011 but has also brought you an autonomous solution in the form of MachPanel. Current release of MachPanel 4.2 manifolds vigorous support for Dynamics CRM 2011 allowing you to have 360 degree view of your sales alongside customer management and marketing solutions under the hood of MachPanel.